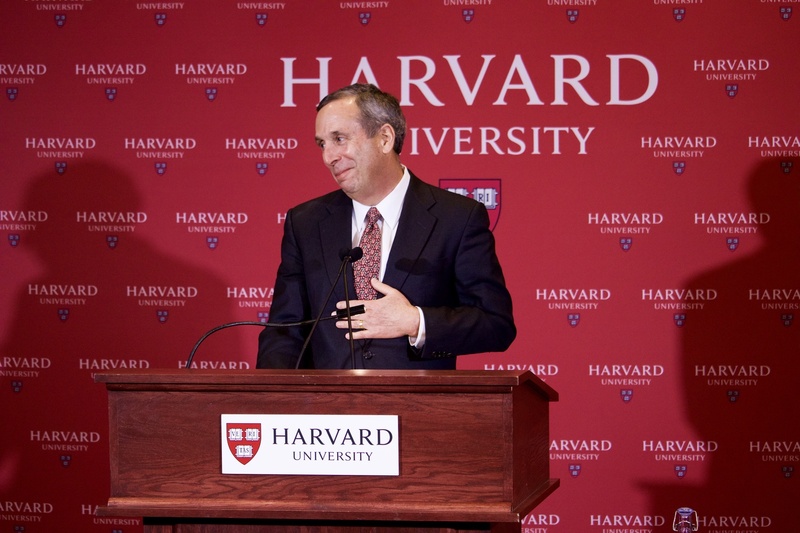 Harvard Corporation member Lawrence S. Bacow will serve as the University’s 29th president. Lawrence S. Bacow will serve as the 29th president of Harvard University. UPDATED: February 11, 2018 at 12:37 a.m.
Harvard Corporation member Lawrence S. Bacow will serve as the University’s 29th president, members of the presidential search committee announced Sunday afternoon, ending a seven month-long search he initially helped conduct. Bacow, 66, formerly served as the president of Tufts University and the chancellor of the Massachusetts Institute of Technology. He has also held roles at the Kennedy School, the Graduate School of Education, the Law School—and, most recently, on Harvard’s own search committee. Bacow will assume Harvard’s top post at a precarious time for higher education and the University. He will face a presidency and Congress in Washington D.C. that has proposed and enacted policies directly at odds with University’s goals, including a new tax on large university endowments that will likely cost Harvard tens of millions of dollars per year. Bacow must also grapple with a chronically underperforming endowment, oversee Harvard’s expansion into Allston, and finalize the roll-out of its controversial College policy penalizing membership in single-gender social groups. 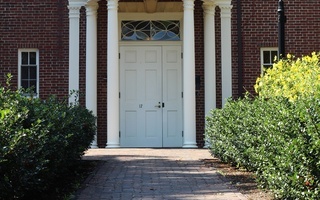 Marking an unusual selection from within its own ranks, the committee approached Bacow to see if he would stop seeking the University’s next leader and interview for the job himself. He agreed to quit the committee in mid-December, months into a search that started over the summer. 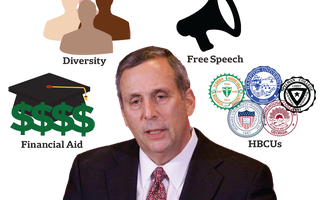 Senior Fellow of the Corporation William F. Lee ’72 said that, as the committee solicited nominations, many within and outside of Harvard recommended Bacow for the job. “He went through the same processes our other candidates but in the end he emerged as the person who we unanimously and enthusiastically believed was the best choice to lead Harvard forward. He is one of the most respectful, insightful, and experienced leaders in American higher education,” Lee said at the official press conference announcing Bacow’s selection Feb. 11. An economist and lawyer whose research focuses on environmental policy, Bacow led Tufts from 2001 to 2011. While at Tufts, he spearheaded that university’s largest-ever capital campaign to date, expanded financial aid and diversity initiatives, and created a new partnership with Tufts Medical Center. He holds three Harvard degrees—a J.D from the Law School as well as an M.P.P. and Ph.D. from the Kennedy School of Government—and attended MIT as an undergraduate. He joined the Harvard Corporation, the University’s highest governing body, in 2011. Taking the podium at the press conference Sunday afternoon to address Harvard affiliates for the first time as the University’s president-elect, Bacow spoke about his lasting ties to the school. Question-and-answer session with University President-elect Lawrence S. Bacow. Bacow, a Michigan native, hails from a family of immigrants. His mother was an Auschwitz survivor and his father was a refugee from the pogroms of Eastern Europe. At Sunday’s press conference—his first public appearance as the president-elect—Bacow told his parents’ story and spoke about the impact of higher education on his own life. “It was higher education that made this all possible, and I look forward to working every day as president of Harvard to ensure that future generations benefit from the same opportunity that my family had and so many of us, I suspect, who sit in this room today also have—and that is the opportunity to experience the American dream,” he said. Bacow’s selection marks a return to white male leadership after Faust—Harvard’s first female president—broke the centuries-long pattern when she assumed the University’s top job in 2007. Alumni and students called on the search committee to consider a diverse slate of candidates during the search, urging the group to particularly prioritize candidates from underrepresented backgrounds. Prior to stepping down from the committee, Bacow met with a group of Latino alumni and students to solicit their input on the search. “I was in full listening mode,” Bacow said of that meeting as he exited Loeb House in Oct. 2017. This is not the first time Bacow’s name has been floated for the Harvard presidency: He made the University’s shortlist of candidates for the 2006-2007 search that resulted in Faust’s selection, The Crimson reported in Dec. 2006. During that year’s search, Bacow repeatedly denied any interest in the Harvard post. “I am very happy at Tufts and have no desire to leave. I took this job expecting it to be my last. I still do,” Bacow told the Tufts Daily in 2006. Twelve years later, Lee, who chaired the search committee, praised Bacow’s leadership skills in a letter sent to Harvard affiliates Sunday announcing Bacow’s appointment. “Larry Bacow is one of the most accomplished, admired, insightful, and effective leaders in American higher education,” Lee wrote. Tufts President Anthony P. Monaco, who succeeded Bacow at the university, also lauded Bacow in an email to The Crimson earlier in the fall. “Larry is a national leader in higher education, and has a deep understanding of both the challenges and opportunities that universities face today,” Monaco wrote. Harvard’s presidential search has been underway since University President Drew G. Faust announced over the summer she planned to step down in June 2018 after 11 years at the helm. The search committee—originally comprising all 12 members of the Harvard Corporation and three members of the Board of Overseers—spent the ensuing months whittling down a list of more than 700 candidates to just one. The process was long and secretive. Search committee members convened 16 times, meeting behind the closed doors of Loeb House and in at least one searcher’s home in residential Belmont, Mass. in an effort to keep the identities of candidates under wraps. The search remained in “information-gathering mode” for the first few months as faculty, staff, and student advisory committees helped the committee gather input from thousands of Harvard affiliates worldwide. The search committee had begun narrowing its list by October. The Crimson reported in Dec. 2017 that the committee had winnowed its slate of finalists to under 20 names. 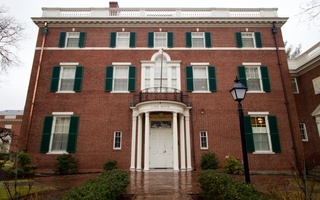 Though Lee and other members of the search committee repeatedly declined to discuss the search or disclose the identities of other candidates, faculty and alumni consistently named Business School Dean Nitin Nohria, Dean of the Faculty of Arts and Sciences Michael D. Smith, University Provost Alan M. Garber ’76, and Government Professor Danielle S. Allen as probable internal candidates. Ultimately, though, the committee chose one of its own. “I am humbled and honored by the opportunity to lead this remarkable institution – and to succeed Drew Faust, whom I have been privileged to count as a friend and an inspiration since we met over a decade ago,” Bacow wrote in a press release Saturday. Bacow will formally begin his duties as University president on July 1, 2018. —Crimson editors Graham W. Bishai, Derek K. Choi, Brandon J. Dixon, Andrew M. Duehren, Caroline S. Engelmayer, Joshua J. Florence, Angela N. Fu, Kristine E. Guillaume, Jamie D. Halper, Mia C. Karr, Dianne Lee, Hannah Natanson, Claire E. Parker, Daphne C. Thompson, Lucy Wang, William L. Wang, Derek G. Xiao, Michael E. Xie, Luke W. Xu, Leah S. Yared, and Brian P. Yu contributed reporting. The most interesting part of the presser for me was hearing what questions the University had decided to plant.